Hello, I would like to take this opportunity to tell about the UFO experience my adult son and I had several months ago. Location: Southern Michigan Date of sighting: September 3rd, 2012 Time: approx. 7:30 pm mostly dark but sky still had light. My son was outside doing yard work etc. and called for me to come outside with him. I’m on oxygen but did make it out there to see him pointing to the sky. Once out there I looked up and saw two round disks or saucers but they were in a vertical position side by side very close together. The distance away was hard to discern but my best guess was somewhere between 2500 – 3000 feet away. The color was a very vibrant orange with a kind of red tint. The surface of both was strange in that the color texture kept moving within each disc. My son who witnessed this with me has better eyesight than me said he could see small reddish flames flicking out all around the edge of each. Lately, I’ve been wondering if maybe the whole face of the disc was in flames as explaining why the surface of each moved around in orange/red. Then I wondered if maybe rather than discs always on their side might actually be round spheres so then the whole outside surface might be aflame. Maybe caused by entering our atmosphere or from the friction of flying so fast within our atmosphere. I’m no expert just guessing. Then after a short time maybe 2 minutes I saw both UFO’s begin to rotate clockwise. This was the whole surface of each. They started rotating at the same exact moment very slowly to start. It was like they were under one control considering how much in sync they moved. Very quickly the speed of the rotation increased until the surfaces were a blur and at that point they moved off very slowly to the southwest. They went a ways and then they either vanished or sped away faster than the eye can see. Oh, I did want to mention that the UFO’s appeared to be self illuminated but then they would be if they were on fire. Sorry but did not get a chance to take pictures. Its very hard to determine the size of the crafts but my immediate thought when I saw them was that each was approx. the size of the moon when it is in the stage where it seems bigger than normal. These were a little bigger than that. I know not very scientific but best I could do. Also, no sounds were detected at all from these UFO’s. I hope that I was able to describe this sighting in a way that’s understandable. I welcome any questions or comments. NOTE: The above image is a rendering. The memo, dated March 22, 1950, has been viewed almost a million times over the past two years, the FBI said this week in a blog posting. It was written by Guy Hottel, who was the head of the FBI’s field office in Washington at the time, and addressed to FBI Director J. Edgar Hoover. Hottel said he was told that the saucers’ control systems might have been disrupted by interference from “a very high-powered radar set-up” that the government had in the area. But he admitted in the memo that “no further evaluation was attempted” by the informant, whose name is blacked out in the online document. The Hottel memo has been in the public record since the 1970s, but it created a huge splash in 2011 when it was added to the FBI Vault, an online repository of public records. Monday’s posting was written to counter such characterizations. The FBI denied that the memo constituted evidence for the existence of extraterrestrial spacecraft — and said Hottel’s report was never taken all that seriously. 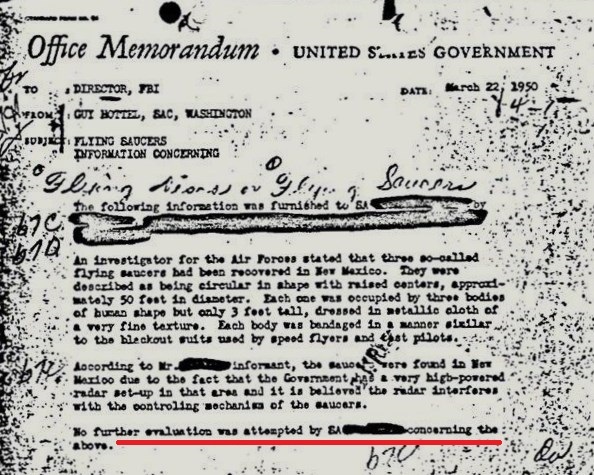 The FBI said there was no reason to believe that the memo referred to another famous UFO saga, the purported discovery of a crashed alien spaceship in Roswell, N.M., in 1947. 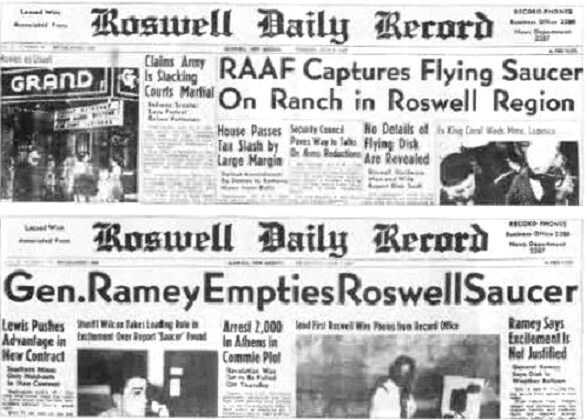 “The Hottel memo is dated nearly three years after the infamous events in Roswell,” it said. July 9, 2008: NBC’s Willie Geist has a little fun with New Mexico flying saucers to mark the anniversary of the 1947 Roswell UFO incident. The bureau acknowledged that for a few years after the Roswell incident, Hoover followed up on an Air Force request by ordering his agents to verify any UFO sightings. “That practice ended in July 1950, four months after the Hottel memo, suggesting that our Washington Field Office didn’t think enough of that flying saucer story to look into it,” the posting said. There’s an alternate explanation for the Hottel memo that makes a lot more sense. Two years ago, when the memo was added to the Vault, paranormal investigator Ben Radford noted that the informant’s story matched the description of a UFO hoax that was concocted by a man named Silas Newton. In 1950, Newton was telling tales about flying saucers that had crashed at a radar station near the Arizona-New Mexico border. Newton was later convicted of fraud, and died in 1972. To get the story about the connections between Newton’s tales and the Hottel memos, check out this thorough debunking on the Above Top Secret forum. Even though the FBI says the memo “does not prove the existence of UFOs,” it’s not confirming the Silas Newton story, either. “Some people believe the memo repeats a hoax that was circulating at that time, but the Bureau’s files have no information to verify that story,” it said. What do you think FBI Agent Fox Mulder would say? “The truth is out there”? Or “Trust no one”? I went to take the garbage out the backdoor of my apartment at about 9pm on or about February 28, 2013. I noticed 2 bright objects flying in a straight trajectory from the Southwest and moving to the Northeast. I thought they were helicopters at first due to our proximity to the hospital. As I observed the objects for a minute or so I realized they were not making any noise and were flying too close together to be helicopters. The one object would take the lead and then the other object would overtake the first. As I was returning to my door from the dumpster area I observed more bright round objects trailing, in a straight line the first 2 objects. They were all of the same shape, size, and color. I witnessed 4 more objects and thought this was very strange. I went in the house and my boyfriend was getting ready for bed. I told him he had to come outside and “see this”. He followed me outside. We both observed about 6 more object traveling together in a staggered line again following the same path in a mostly straight line. He told me to go grab my camera, my batteries were charging and I was still like, these must just be planes or something (the regional airport is relatively close). As we continued to observe the objects they just kept coming. After about 5 minutes we were getting cold and went back inside. He laid down and I went back outside, the objects were still coming. I observed 5 objects in an almost square formation. I called him outside again where we both watched the objects for about another 10 minutes. They were still coming. I was asking him, what do you think we are seeing. I don’t know? KENS NOTE: Another sightings was reported on the same date in Ronse Belgium. The witnesses saw the objects but had no explanation. The above photo is the real photo from the Ronse Belgium sighting. The weekend at the center of our story was like many others they’d enjoyed over that summer – hiking along the mountainside, sitting around the campfire and sleeping in the van. Then came the day the six-year-old grew tired and hungry about 5 P.M., sending the three back to their small campsite. The parents set about building a small fire in the portable grill and pulling out the cooler full of food for the night. The little boy played nearby with a handful of toys he brought along. With the fire crackling, the young wife poured enough water in a small pot to make some hot chocolate for the family to help with the colder air slowly beginning to make its way across the Catskills. It was still daylight, but the family was tired and their day was winding down. They sat contently around the small fire, fussing with the food and talking about things they’d seen during their hike when the child stood up from where he was playing around on the ground with his toys. With his back to his parents, he was looking out towards the sky above a small valley below them. Suddenly he interrupted his parents by whispering to his father, “Dad, what is that thing?” At first the father continued talking to his wife when his little boy called to him, sounding a bit more frightened, “Dad, that thing, what is it? It’s scaring me!” With that the little boy backed up to his father and grabbed his shirt tightly. Turning to face the small valley, the young father looked to see what was upsetting his son. His wife was now paying attention to what was happening as well. In front of this small family, rising from the valley floor, a huge oval-shaped craft. The hulking craft had sinister glow as it loomed over the valley, changing rapidly from blues to greens to purples; however, there was no hint of the familiar lights that announce the nighttime presence of a standard aircraft. The entire surface of the ominous craft glowed with the continuously changing colors. It appeared the craft was seamlessly fashioned of a silvery metal skin with rotating luminous neon colors. It didn’t seem to have any windows, doors or breaks in its smooth metallic surface and made not even a single sound. The family stood awestricken and frightened for a few seconds as the massive craft rose above the mountain scenery. Quickly conquering feelings of nausea and overpowering fear, the husband, a combat hardened military veteran, knew he had to move his family to safety. He didn’t want whatever controlled the threatening craft to notice them. Slowly, he bent to empty the pot of water on the fire, dousing the flames. He slowly swept up his son, whispering to the child not to make any noise, pulling the boy close while he reached for his wife’s hand. He shook his head when she started to speak. The young husband slowly withdrew his family, silently, to the van. He opened the passenger door, motioning for his wife to get in and passing her the child who was now whimpering in fear. He slowly moved to the driver’s side of the van, keeping wary eyes on the craft that continued to slowly rise from the valley. He slid into the van and started the engine, slowly guiding it into the tree line for concealment. The van was a dark green, and he hoped he could hide it from the view of whatever mastered the rising craft. He was trying to maintain concealment while putting distance between the fear inducing craft and his little family. At a crawl, the van edged its way along the tree line as the husband moved carefully away from the threatening craft. He did this until he could no longer see the UFO, hoping the craft’s crew couldn’t see him either. He slowly increased his speed, trying not to crash into any of the trees as he distanced his family from the mysterious giant object. He continued this path along the side of the road, under the trees, until he felt it was safe to take to the road’s surface to get his family out of there as fast as possible. The young family hit the road, speeding down the mountain as fast as they could, moving rapidly away from whatever it was that was rising above the valley. The young husband headed them for the closest area where other people would be and found a gas station at the bottom of the mountain road. The family, now shocked and still terrified, told the gas station owner what they had just seen. Strangely, the gas station owner didn’t seem shocked, nor did he think they were crazy. He told them they did the right thing, getting out of there, and suggested the young man fill his tank and continue driving away from the area. The family took his advice, quickly finding their way to a heavily traveled highway and heading directly home. When they were safely locked in far from the mountains in their own home, the young man called the sheriff’s office responsible for the area where they had their ominous sighting to report what they had observed. A deputy politely took his report but showed no emotion or reaction to what the family had witnessed. The young husband couldn’t tell if the lack of reaction was due to the deputy not believing him, or just the boredom that might set in for an official who had heard similar reports from a multitude of callers that night. The deputy had no response to the young man’s question of whether others had reported the sighting besides him. The deputy simply thanked him and ended the call. The couple had never thought much about things like UFOs before and never anticipated coming face-to-face with one while sitting around a campfire in the Catskills. Fortunately, the young father knew instinctively that he needed to get his family away from there as quickly and quietly as he could. He did an excellent job of keeping his focus and saving his family. The fact of the matter is that no one really knew exactly where this family was that day, and no one was near where they parked to spend the night in the woods. If the crew of the mysterious craft had noticed them and taken them, the family may have joined the ranks of the missing with no chance of anyone ever knowing what happened to them. The quick thinking that led the young father to rise above the terror of this situation was exactly the cool thinking needed to save his family from the possibility of an unknown fate. This couple now knows these anomalous objects exist, and their able to perform in ways that can’t be matched by any known terrestrial aircraft. The object they witnessed was about the size of a cruise ship. Its illumination came from glowing rather than actual lights. It was silent, and even as large as it was, it could hover in midair, slowly gaining altitude between periods of simply hanging still in the sky. The man told me only personally seeing such an object could ever convince him these fantastic aerial enigmas and their capabilities exist. Not only did this family experience a life changing encounter, they received a lesson in keeping an open mind when it comes to claims about UFOs and similar seemingly outlandish things that are being reported worldwide. With the warm weather coming soon I felt it a good time to talk about this family and remind you all to always be alert to what is happening around you and to keep a cool head and clear focus if you find you are face to face with a similar event. NOTE: The above image is a rendering. 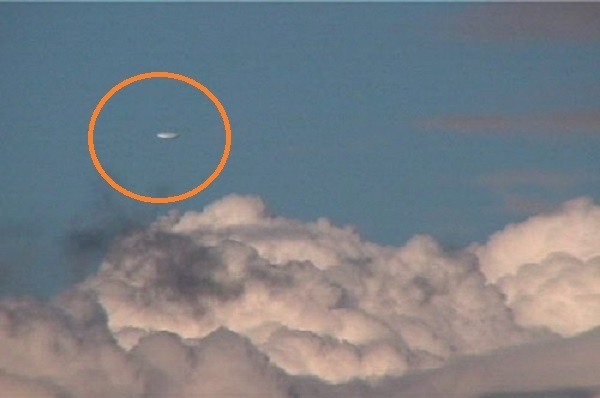 BUDAPEST, Hungary – A military pilot recorded a spectacular video of a silver disk object on September 29, 2001. 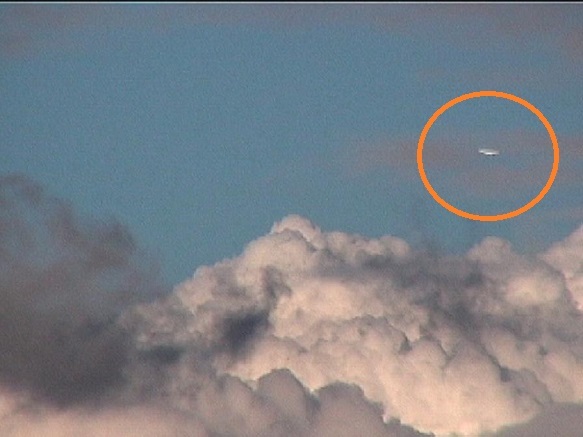 The craft was flying to his left side and then moved very fast past him in the clouds as can be seen in the video. “I was on a flight over Budapest, Hungary,” said the pilot, who has requested that his name be withheld until the official inquiry by the Hungarian Ministry of Defense is complete. Officials at the Ministry of Defense would not answer questions about the video when asked and warned that officially they have no comment. Despite the denial, when informed of the pilot’s name, they did acknowledge that the he was a real air force pilot and that it was true that he flew photo recon airplanes. 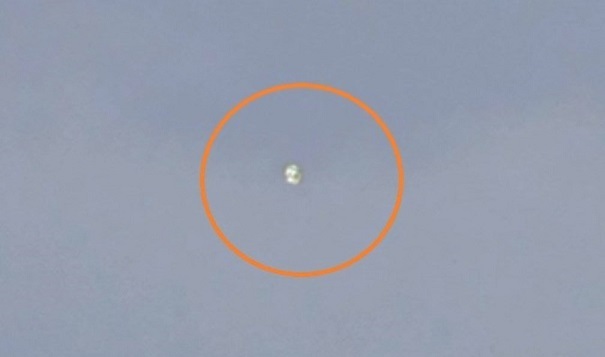 BEIJING, July 14 (Xinhuanet) — Heilongjiang residents said they saw an unidentified flying object on Friday, the second time in a week such observations have been reported in the northeastern province. Zhang Wei and Dai Guobin, workers at a sand processing plant in Zhangjiadian village in Harbin, capital of Heilongjiang, said they witnessed a black flying object, the shape of an eagle and larger than an airplane, at noon on Friday. Zhang told China Daily that he was not sure if the object the two saw on Friday was the same one reported Sunday in the Phoenix Mountain National Forest Park, which is about 200 kilometers away from the sand factory. Chen, who is studying the UFO reports in the forest park, said he has talked to at least four eyewitnesses who said they saw the same flying object at different times and locations. Li Hui, a tourist, said she saw a luminous flying object hovering low in the sky at 3:42 pm on Sunday when a photographer was taking her picture at a viewing platform in the park. 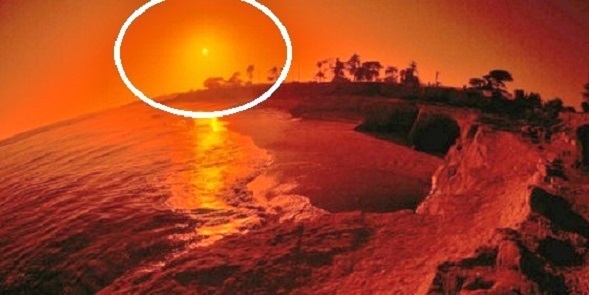 The photo clearly shows a luminous object. Chen, the retired astronautics professor, said the object looked a lot like a moth when he first saw the picture, but he ruled out the possibility as more eyewitnesses in different locations said they also saw the flying object. Sun Yan, a worker in the park, who was about 10 meters beneath where Li Hui stood, and another worker who was at the gate of the park said they saw the UFO on Sunday. 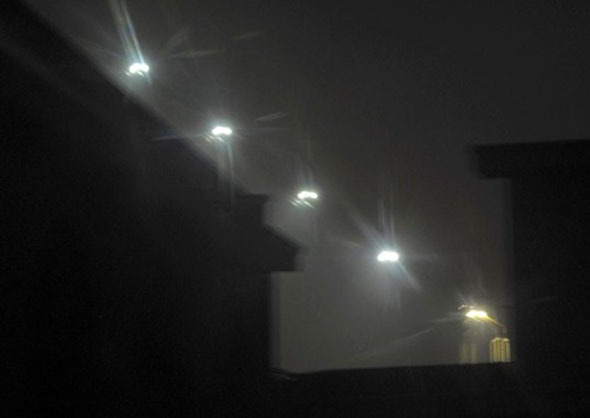 Sun Li, a forest worker, said she witnessed a bright object, as big as a washing basin with gaseous columns on both sides, at around 8 pm the same day, according to Harbin Daily.Harbin Daily reported that the photographer used “forced flash” when taking the picture, meaning the camera’s flash was used despite strong lighting in the background. “Many people called us and asked if UFOs really visited the park,” Kang Tai, a manager with the park, said on Friday. Kang, who has worked in the park for more than four years, said that although he personally did not see a UFO, he received UFO pictures taken in the park by tourists several times, most recently in 2011. In fact, 18 years ago, UFOs reportedly visited the park. Meng Zhaoguo, a worker in the park, and two colleagues said they saw a strange unidentified object in June 1994. “I saw the UFO as it just landed in the hillside,” Meng recalled. Curious, Meng asked a relative to go with him the next day to identify the object. One of the most powerful U.S. senators in modern history actually eye-witnessed two UFOs while on a fact-finding trip through Russia in 1955, and the U.S. government kept the sightings a secret for more than three decades. The incredible encounter is detailed in 12 TOP SECRET CIA, FBI, and Air Force reports-and declassified in 1985. Those startling reports reveal that Senator Richard B. Russell, Jr. (D-GA), then chairman of the Armed Services Committee-was on a Soviet train when he spotted a disc-shaped craft taking off near the tracks. He hurriedly called his military aide and interpreter to the window and they saw the UFO, plus another one that appeared a minute later. The astonished trio reported the sightings to the U.S. Air Force as soon as they were out of Russia. 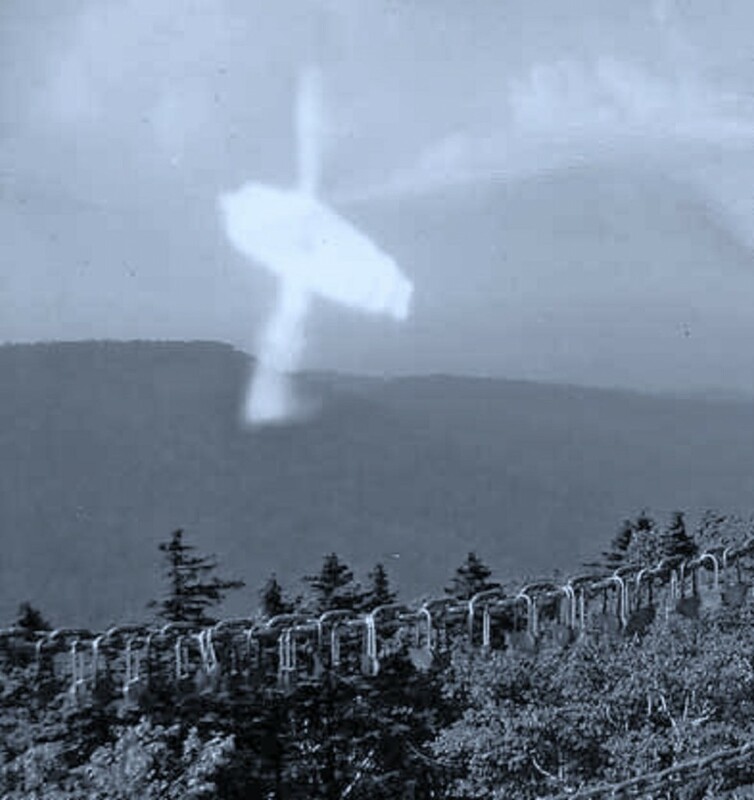 “The three observers were firmly convinced that they saw a genuine flying disc,” says an Air Force Intelligence report, dated October 14, 1955, and classified TOP SECRET at the time. Senator Russell served 38 years in the Senate. He was its senior, and one of the most influential senators at the time of his death in 1971. He was chairman of the Armed Services Committee from 1951 to 1969, and unsuccessfully sought the Democratic Presidential nomination in 1952. The mind-boggling documents detailing his UFO encounter were made available by the Fund for UFO Research and its chaiman, Dr. Bruce Maccabee. Several key documents were obtained by the group through the Freedom of Information Act. “These long secret documents are of major importance because they show for the first time that one of the most powerful U.S. Senators witnessed and reported a UFO,” said Dr. Maccabee. The Air Force Intelligence report says Russell and his two traveling companions spotted the UFOs on October 4, 1955, while traveling by rail across Russia’s Transcaucasus region. “One disc ascended almost vertically, at a relatively slow speed, with its outer surface revolving slowly to the right, to an altitude of about 6000 feet, where its speed then increased sharply as it headed north,” the report states. “The second flying disc was seen performing the same actions about one minute later. The take-off area was about 1-2 miles south of the rail line. ” Russell “saw the first flying disc ascend and pass over the train,” and went “rushing in to get Mr Efron (Ruben Efron, his interpreter) and Col. Hathaway (Col. E. U. Hathaway, his aide) to see it,” the report said. The Air Force report was written by Lieut. Col. Thomas Ryan, who interviewed Senator Russell’s companions in Prague, Czechoslovakia, on October 13, after they arrived there from Russia shortly after the sighting. Mr. Tom Towers, in his January 20, 1957, column, ‘Aviation News,’ for the Los Angeles, CA, Examiner, printed the contents of a letter from Senator Russell, which was in response to a request for information about the sightings in Russia. Mr. Towers had originally contacted Senator Russell’s office by letter with the request that he be given permission to “break” the story. The Senator wrote: “Permit me to acknowledge your letters relative to reports that have come to you regarding aerial objects seen in Europe last year. I received your letter, but I have discussed this matter with the affected agencies of the government, and they are of the opinion that it is not wise to publicize this matter at this time. I regret very much that I am unable to be of assistance to you.” The letter was dated 17 January, 1956. NOTE: The above image is a rendering. On the date of observation, I was in an open field on what was then privately owned property of the Gyrodyne Corporation on the North Shore of Long Island NY near the towns of Flowerfield and Stony Brook. The land is now owned by the State University of New York at Stony Brook. I was in the field that day practicing wilderness survival skills I had been developing after attending a survival school in New Jersey a few years prior. There were no clouds in the immediate vicinity as I have a habit of scanning the sky in order to identify any high flying birds that may be in the area i.e. red tailed hawks. I looked up and the movement of what first appeared to be a small cloud at an extreme height caught my attention in the southeast at approximately 70 degrees above the horizon from a reference point of 90 degrees which would have been directly above me. However, this movement was unlike any cloud movement I had witnessed during my previous, at the time, 30 years on the planet. What began as a tiny object grew rapidly during the course of its 3 to 4 second descent to a much larger object hovering at about the height of where helicopters might hover but much, much lower the airspace of jet aircraft. To estimate the size of this object, a common coffee table coaster held at arms length would have barely covered it at this distance. The object appeared silvery white, not exactly translucent but not exactly solid either. The edges of the object were ill defined and had the definite appearance of waviness, similar to a water mirage on a road on a hot day. I had the distinct feeling at the time that this object was either a spiritual manifestation of some sort or a terrestrial or extra terrestrial air vehicle exhibiting a high-tech form of camouflage. I observed this object hovering for over 5 minutes . I was seized my a feeling that this object was acutely interested in me and my activities. I started to consider that if this was of extra terrestrial origin or spiritual origin I was perhaps in some danger and my emotions ranged from a benign anxiety to alarm. Whether my feelings were perceived by the object or entities therein is unknown but the object accelerated from a standstill toward the east at what I can only describe as incredible speed . The object then appeared to execute a 90 degree turn to the south without slowing down but this angle was impossible to determine with accuracy from my vantage point. The object, due to this incredible speed, then disappeared from sight. NOTE: The above image is a rendering. The above UFO photo is real. 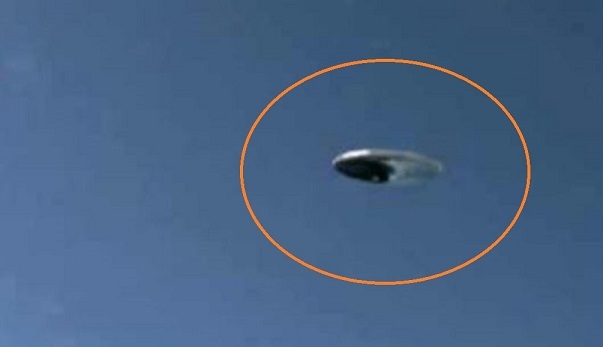 This was spotted on 1-17-13 over Palm Harbor Park, Florida. Found on the Otago coast along Koekohe Beach near Moeraki, New Zealand, the Moeraki Boulders were originally formed on the ancient sea floor roughly 60 million years ago. Numbering near 50, the diameter of the boulders range between half a metre (1.6 ft) and approx 2.2 metres (7.3 ft). According to Maori legend, the boulders are the remnants of eel baskets which washed ashore after legendary canoe, Araiteuru, was ship-wrecked. Simply a visual phenomenon created by the reflection of light from ice, Light Pillars (or columns) are most frequently formed when light from the sun or moon is reflected by ice crystals in the air. In order for the pillar effect to occur, the ice crystal must be horizontal so that the reflection can be made vertically. Due to the ambient appearance of the pillars, this phenom has been known to produce many false UFO reports. Have you seen lights in the sky on a freezing cold night? You may have just seen a light pillar. Found in the dusty, dried out plains of Racetrack Playa in Death Valley, California, the Sailing Stones have defied scientific explanation to this day. No conclusion has yet been offered as to explain why these mysterious stones leave long, stretching, tracks every two or three years, although it is popularly believed that the unique weather conditions which occur here in March every year play a vital role. Although not quite as cool as a black hole or anywhere near as mind-boggling as a worm-hole, blue holes are much easier to observe. Technically giant underwater sink-holes, blue holes were formed at some time during past ice ages, when the sea level was roughly 110 metres lower than it is today. The deepest blue hole in the world is Dean’s Blue Hole, just west of Clarence Town in the Bahamas, and is recorded at 202 metres. The widest blue hole is the Great Blue Hole (pictured), and is 300 metres in diameter. Looking more like a discarded scene prop from 2006′s Superman Returns (the less said, the better), Columnar Basalt occurs in the wake of thick lava flow. When the lava flow cools, an extensive network of fractures develops, resulting in the formation of hexagonal columns. If the cooling is rapid, smaller columns will be observed, and alternatively, slow cooling renders large colomns. Unfortunately, the Blue Neon waves, which were observable from the San Diego shoreline, have ceased, but that doesn’t make them any less of a natural wonder. The nocturnal opposite to the city’s “Red Tide”, the Neon waves were a spectacle of colour brought on by an over abundance of a certain kind of plankton. The “neon” effect which was evident in the surf, was the result of the bio-luminescence of the millions of dead plankton being washed ashore. Okay, so perhaps these guys don’t quite fit in with the rest of this list, but nothing says “weird and wonderful” quite like goats in trees. And the reason for the farmyard favorite’s vertical endeavor: food. The berries of the Argan tree are a food source in Morocco, and are one of the few in relative abundance. The escapades of these wily creatures are a testament of nature adapting to survive. I was with 2/6 Marines conducting combat operations in support of OIF in 2008. Upon returning to Camp Baharia after our patrol around 2300, I took a shower and went to my hooch. After hearing many Marines outside I stepped out to see what was going on. There were 15+ Marines outside with Night Vision Goggles telling me to go get mine and look at what they were seeing. I went and grabbed my NVGs and I saw 4-5 objects in the sky that were pulling some incredible maneuvers. At first I knew they were not stars, satellites, planets, aircraft etc… I am not an expert but I do have enough knowledge about aviation to know that these were like nothing I’ve ever seen. 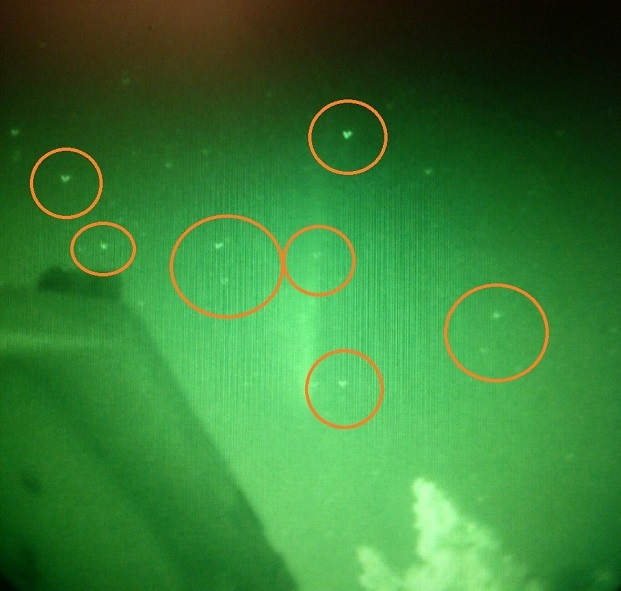 The only thing I could think of were maybe they were bugs reflecting off our NVGs [ night vision goggles ] If they were bugs, why did 15+ Marines who were standing in different locations see the same 4-5 object for 1+ hours? That leads me to believe it was not insects. These objects were performing 90 degree maneuvers and zig zagging all over the sky. They would come together, get brighter, then pull away. At the end of the encounter all the objects came together, got brighter, then sped away as 1 object. A fellow Marine took a picture through his NVGs. The picture does not do the encounter justice but can show the objects we did see in still motion. I can provide many witnesses to this event and would be happy to talk to a MUFON investigator about our encounter. I am a Captain and retired Air Force from Argentina. On December 20, 2012 I was with my family on the coast of Rio Gallegos (Gallegos River is in the province of Santa Cruz in southern Patagonia in Argentina) and missing about 20 minutes for 16 hours. We were located on a platform with an old shell of a house and the street below through it waterfront, behind us about 50 feet in a basin circular parking was another couple with a young, and beyond was also back our the old wooden dock about 200 meters. Next to us was the left and right coast road about 40 meters the iron fence that overlooks the beach and is built on the breakwater. We were facing west and in front of us had people running and exercising, a police car parked about 100 meters and other parking darsena directly overlooking the beach. A man was standing beside of a white car limited by some orange traffic pines and several tripods with photography or video equipment in them, I remember it well because we thought they were filming a documentary. At that moment we heard a plane and get my wife had the camera in hand, ready to take his picture, but my son caught our attention for us to look toward the west, above the river were two lights coming towards us about 200 meters high very quickly, at first I thought they were fighters. We were looking at the front and the other people who were also in the round darsena were watching. In seconds the lights came up to where we were and went above the plane that was landing. 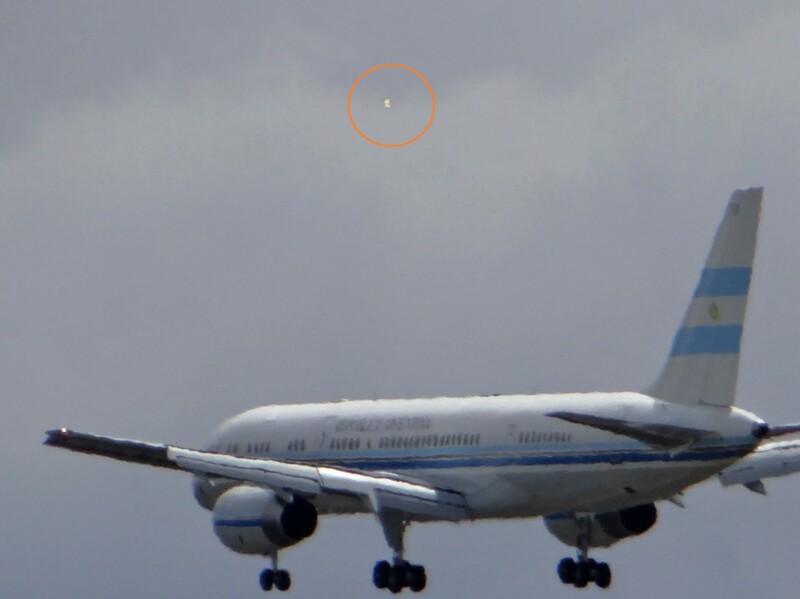 This aircraft was the Tango 01, the plane of the President of Argentina. We continue to view the lights, they looked the same as organic and mother of pearl, one came later than the other, the former made a turn down and was stopped just 10 meters above the water, my two sons ran to the iron fence for a better view on the beach and there were two fishermen who were pointing. The light was stationary and had become more opaque. The other made a wide turn light behind us and the city and turned toward the plane that had flown over and was almost on the coastline, two people who were running saw this. This light was put on the plane and moved on the calculation that about 500 meters, there my wife took the picture I attached to this report and which I made some homemade filters, also attached. Then this light went out and we did not see it. The other was on the water also disappeared. Among our family, the other family, fishermen and runners at least 11 people saw this, the two lights did not seem solid but rather organic and changed its brightness and at times seemed more elongated. The concrete is moving at enormous speed difficult to visually track, my humble estimate is about 800 kilometers per hour. I can not say they were UFOs because I had never seen anything like that in flying form, but it sure was something totally new and totally impossible to be a man-made technology for its speed, the turns without stopping and in fact stay still air, these lights were smart moves. We do not hear any sound, no nothing, all lasted less than a minute and days later we learned that a man had shot the plane and that the lights had appeared in the video, we assume that it was the man in the white car. I tried to reach him but the line went dead several times so I gave up. Publish this now because I read several profiles on the Internet in which is said that what happened that day was the moon, or a satellite, or a reflection in the camera that took the video, all of that is a lie. GOOGLE TRANSULATION. 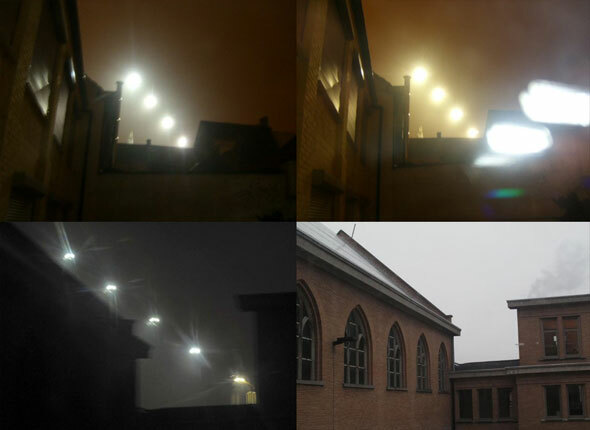 RONSE – Several people saw five bright lights seen in the vicinity of the College. “It was so bright that we were awake,” says Jean-Claude. Johny Deconinck also saw the lights and photographed them. 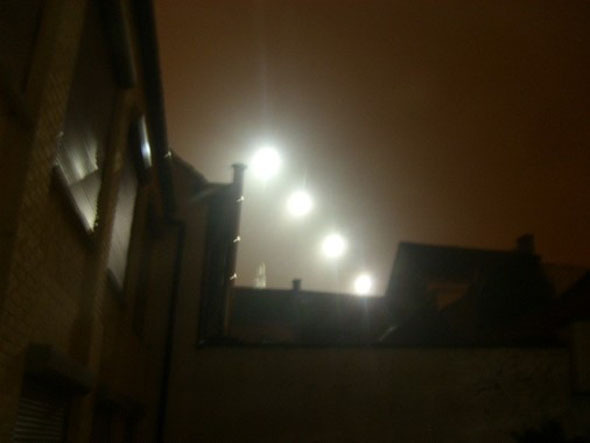 A little after 1 am Thursday morning, there were five mysterious lights seen in the vicinity of the College. Johny Deconinck interrupted his sleep for a sanitary break and saw them. “I had to go to the bathroom and the room was very brightly lit,” he says. “I made my wife awake and together we watched the phenomenon. We thought to work on the Belgacom mast or something, but it was there just before we went to sleep nothing. I took a picture after five minutes and crawled back into bed. In the morning we looked at the same place, but there was nothing to see. We know that there must be an explanation for the phenomenon, but what exactly is it we do not know. We thought still a tower crane, but between the lights, there is no structure to see. Bottom right I saw a structure that could be a staircase. A tower crane would be there the next day, of course, still have to stand, but there was nothing. It’s strange, so strange that the pictures I sent it to the contact point for UFOs. Since they let me know that they will contact me. According to Frederick Delaere the hotline for UFOs is too early to know what the lights were. “I’m going through the photos to our photo specialist. It is too early to say what this might be, but we will definitely return. Not only Johny saw the lights above Ronse, including Jean-Claude was awakened by the bright light. “Above our house there were spherical lights to see,” he says. “We have become awake. At midnight, two hours and four hours, I have seen them. The room was so brightly lit that it was difficult to sleep. Also I’d like to know was it could be. Johny already sleeping with his camera beside his bed. “But the next night I have not seen,” he says. According to the Military Service Aircraft movements were on the night of Wednesday to Thursday no overflights Ronse, not by foreign powers would exercise over our territory. When the police were also no reports. I have seen so many TV shows and read so much about different UFO sightings and 99% of the time, it is a light miles away, or something so vague, nobody would have a clue what it was. The sighting we had was a long time ago, so you are probably not interested anymore, but I remember it like yesterday. I was in 7th grade. My friend was spending the night at our farm and we, along with my parents were on our way to a small town about 7 miles from us. We were 1/2 mile north of our farm, going north, when we noticed a very bright light to the east/southeast of us, probably a 1/2-1 mile away. It appeared to be very close to the ground and either hovering or moving very slowly. My Dad said it had to be a helicopter and possibly a game warden or similar. About another 1/2 mile to the north was my Uncles farm and there was a big hill that the road cut through. We went in an approach into a field where we could get up to the top of the hill. We watched the object, still distant slowly moving to the northwest. We watched it for 2-3 minutes, and then the bright light went out and we couldn’t see it anymore. We watched for a couple more minutes, seeing nothing and then it appeared again northeast of us, still heading northwest. Myself, friend and Mom were kinda scared, but my Dad said he would hurry and get back on the road heading north and see it when it crossed the road to show us that is was a helicopter. We had a pickup and were probably going 70 MPH. When we got somewhat near, the pickup engine just stopped. Headlights and everything else was on, just the engine quit. We coasted quite far until we stopped almost where the object would cross the road. It was probably 20 feet above the power lines and maybe 50-100 feet ahead of us. It was within the range of the pickup headlights, but was just above the lights. It hovered, maybe moved super slow. The big light had gone out and there were different colored small lights on. It was hard to make out the shape, but we could see that it was big. Absolutely no sound, nothing. It maybe took 2-3 minutes to cross the road. When it was to our left and still visible, it just disappeared. The pickup had tall side racks on the back and I remember when the object left, there was huge gusts of wind that rocked the pickup bad. The dust was moving right to left, going the same direction as the object. I remember we couldn’t see the road with the headlights on, only dust flying. Still, there was no sound. After it left, my Dad started the pickup up and we continued on to town. It was really strange, but no one spoke anything about it, we were just silent and drove to town. My friend and I told a buddy about it, but he just laughed. We also told our science teacher about it in class and then everybody laughed at us, so we just dropped it. My parents are now deceased, but my friend and I talk about it occasionally. I just wanted to share this. There is really nobody else I know of that can relate to what we saw. Thanks. NOTE: The above image is the witness rendering. The events that have happened to me over the past twenty-seven years have had an enormous effect on my life and what I believe,” Cullen, a practicing Catholic, told me. On April 2, 1978 Tim Cullen dreamed that he was in a terrible car accident. On April 9, 1978, he and his friend Ken Ruberg, were driving on Highway 34 when Tim realized he was living out his dream. “I thought about stopping and going back to townbut didn’t,” Tim said. Seconds later, he rolled the car five times, breaking his neck on the first roll. Ruberg helped Cullen up out of the ditch, and waved down a passing station wagon. They took Cullen to the nearest hospital. The event was a replay of his dream. While in the hospital, under sedation, Cullen dreamed of an encounter with a UFO. Returning home from a medical check-up in Denver on May 30, 1978, Tim and his wife Janet, a registered nurse, were driving north on Highway 59 near the Vernon Road junction (about a quarter mile north of it). It was dark, after 11:00pm at night. Tim saw a large dimly lit object pass in front of the car, go behind a low hill, and re-emerge then, “It went out a ways, along side, and as I brought the car down to a stop, it came back toward us a bit. I backed the car up, and the UFO went out to the west of us. It came in under the power and telephone lines and hovered over a pasture. “It was about a hundred foot long and twenty foot wide, and about ten foot high,” Cullen relates. “It didn’t make any noise. There were two diffused lights that shone at the back of the craft, one a light yellow, and the other red. Janet was five months pregnant with their first child. The Cullens have no memory of being taken aboard the craft, nor of any missing time. “Now, when I think about it, when I turned and started driving, I did have an odd feeling, but it didn’t really register with me. I remember coming back to Yuma, but not looking at a clock. I was kind of shocked by the whole thing. I didn’t really think of looking at a clock,” Cullen said. At that moment, Tim Cullen knew what the object was. He knew that he and Janet had experienced missing time on May 30, 1978. In 1980, Cullen experienced another encounter, at exactly the same spot! The craft hovered and two diffused yellow lights came on. Then one started blinking, and he stared at it. The craft kept moving in back of, and out from behind a low hill. Then it moved slowly away from him. Figuring they didn’t want him to see them, he got back in the car and returned to Yuma. Again, in 1994, with his wife and three daughters, they encountered a smaller craft with a strobe light, about forty miles south of Yuma. “It hovered off the road in front of us, and we stopped and looked at it for five to ten minutes. It moved around for awhile and finally went off to the north,” Cullen related. Tim didn’t think much about UFOs or abduction before his experiences, and had never heard about Alien implants. But after seeing the X-ray, and knowing where the object in the film came from, he started exploring the Internet about the subject of UFOs and abduction. He joined an on-line encounter group, and learned about a man in California, Dr. Roger K. Leir, who removed what were reported to be “Alien Implants”. He and Leir communicated for over a year. The ninth alleged alien implant was surgically removed from the left forearm of Tim Cullen on Saturday, February 5, 2000. The operation was performed at a medical facility in Thousand Oaks, California. The procedure was performed by a surgical team led by Dr Roger Leir; the surgery by Dr. John D, Matrisciano. Removal of the small, “melon seed” type implant went very quickly, and smoothly. The operation was videotaped by The Learning Channel for an upcoming show. Recently, at a MUFON Board meeting, I saw videotape of the object that was removed, which was shot through a microscope. The object was about 7 centimeters long and 4 centimeters wide. It is covered by an amazing reddish-brown membrane and has several long, proceptors (which were connected to nerve endings) on one end. A dark area reveals a metal core. When a magnet was placed a half-inch from the object, it literally leapt to the magnet! As yet, the object has not been sent to anyone for analysis. An appropriate laboratory is being sought, as are funds for performing various tests of the object. Tim Cullen has become very outspoken about his experiences and about the object that was recently removed from his arm. Unlike others who have had implants removed, Tim has allowed his name to be used in the press, has given out his phone number, and has recently established an Email address: ufogoat_2000@yahoo.com. On returning to Yuma, Colorado after the implant removal, Cullen told his story to Yuma’s local paper, The Yuma Pioneer, and addressed both the congregations of his Catholic Church, and his wife’s Presbyterian Church. He has also been on the Art Bell Dreamland show with Dr. Roger Leir and host Whitley Streiber. While at one of the church presentations a woman reached out and touched Tim’s sleeve. “My husband and I know exactly what you’ve been through,” she told him. Tim plans to talk with them. Another man E-mailed Tim and told him of an experience he had had. Many have come forward with stories since his return from the implant removal. Yuma is an agricultural area. They raise a lot of corn, pigs, and cattle here. Many of the ranchers have reported cattle mutilations, several within the last few months. One lost a prize bull. Understandably, the ranchers are angered and frustrated about these events. They don’t understand why they happen. Tim doesn’t like not being able to remember what happened to him when the object was planted in his wrist. He is considering going through hypnotic regression in California to see if his subconscious can reveal any answers, as it has in others. He now admits he thinks he has been abducted. Why is he being so open? Analyses from seven of the eight other implants removed have shown that the membrane surrounding the metal objects seems to keep them protected from foreign object rejection. “This could be a huge medical breakthrough for doctors who want to use biological, metal, or implants of other materials, in their patients. Several prestigious labs have chemically broken down the make-up of the membrane. With the proper research, funded by large pharmaceutical companies, human body rejection of such implants could save many lives in the future,” Cullen said. A commercial airline pilot has reported seeing two unidentified flying objects in the sky near Guernsey. The bright yellow flat disc shapes, estimated to be twice the size of a Boeing 737, were spotted on Monday, 12 to 15 miles north east of the island. 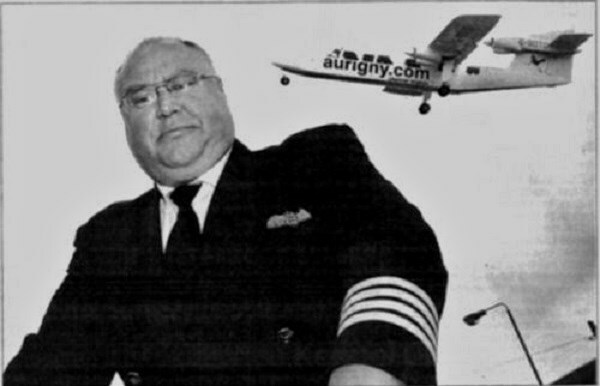 Captain Ray Bowyer was about to fly an Aurigny plane from Alderney to Southampton when he saw the objects through binoculars. Mr Bowyer said he was “pretty shook-up” by the sighting. “This is not something you see every day of the week – it was pretty scary,” he said. At first he thought it was the sun reflecting from greenhouses in Guernsey. He said the objects were bright like the sun, but did not hurt his eyes when he looked at them. The stationary objects were also observed by other aircraft and the passengers on the plane. 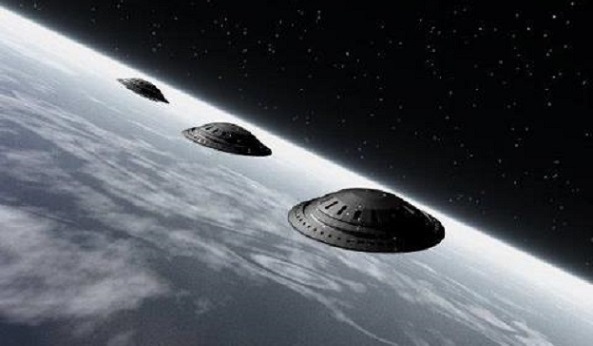 John Spencer, deputy chairman of the British UFO Research Association, said: “These types of sightings have been reported by pilots – generally accepted to be reliable and sensible observers – since the 1940s and they have excited attention to this day. 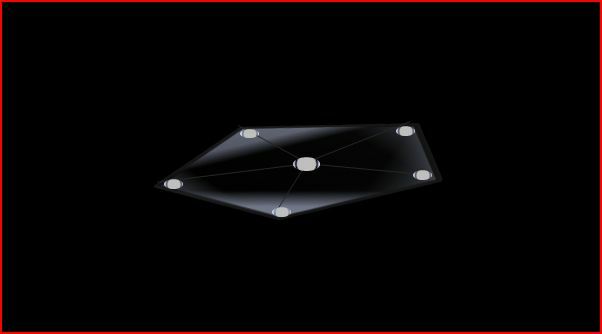 “Such light effects are often popularly thought to represent alien visitors but many UFO researchers believe they more likely represent natural, atmospheric, phenomena not yet fully understood by science. “However, a similar encounter in 1978 over the Bass Straits in Australia, where the pilot was in radio contact with the ground throughout, resulted in the pilot never being heard from again, so these phenomena are important to study.” Nick Pope, who used to investigate UFOs for the Ministry of Defense said: “While no witnesses are infallible, pilots are trained observers and less likely than most people to misidentify something mundane. “The MoD’s UFO case files contain several reports from civil and military pilots, some of which were correlated by radar. This is the sort of sighting that is taken seriously and should be investigated thoroughly. “While most UFOs can be explained as misidentifications of aircraft, weather balloons, satellites and suchlike, a small percentage are more difficult to explain. 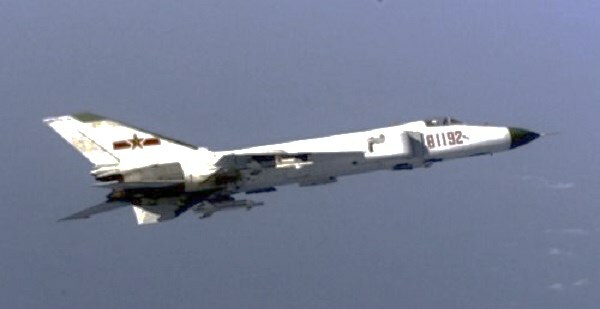 This is one of the most intriguing sightings I’ve heard about in recent years.” A current spokesperson for the Ministry of Defense, said that while it does monitor air space for any unusual foreign objects which might pose a threat, they would not be carrying out an investigation in this instance. It was about 9 O’clock on December 8th 2006. I was at my moms house which is a duplex. She lived on the second level, the stairs to get to the second level were on the outside of the house on the east side. My mom was in her bedroom, the west end of the house. I was in the living room with my brother at the east end by the entrance to the house. He asked me if I wanted to smoke a cigarette, I said no and he went outside. About 30 seconds later he came rushing back into the house yelling at us to go outside. My mom came walking up from the back room and I jumped up from the couch and followed him outside. He pointed up in the sky to the north and said Look!. I saw searchlights. The weirdest thing about the searchlights was that they were low laying, other than being in the sky. The “Main” searchlight, which my brother was pointing to was fixed and not moving. There was a second searchlight more east, to the right of us, that was “scanning” left to right. What I asked, I really didnt notice anything. There! Just then I recognized this massive object gliding straight for us. The searchlight was fixed right on it and just then I realized the lights were from the Saint Paul Airport. 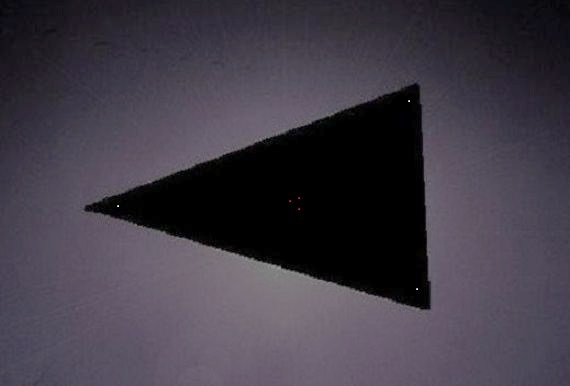 What I saw was this massive black triangle. It was as big as the entire block. There were lights fixed on the black mass, Orbs that glowed and changed colors, but more appeared to be multiple colors at the same time. This was more reminiscent of the Phoenix Lights than the Belgium Lights. The only thing that was different than the Phoenix Lights was that all these lights were connected or attached by this large blackness. When the UFO was passing and the Searchlight was fixed on it, you could not see what the blackness was. You could notice the beam of light as it passed under it but when the light hit it all you could see was just black, black like the night sky behind it. The sky was clear and stars were as noticeable as they could be for being in the city. I really don’t have memory of the UFO being directly over head but I know for a fact it was. I remember turning to watch it pass us, and head south/southwest towards MPLS airport/Bloomington. We were leaning over the edge of the railing, as it got more out of view. At the same time we all stopped and looked at each other in sheer amazement, and looked back to the craft and it was completely gone. There was no way that it was out of our view by the time we looked back, it still should have been there but we could not see anything. My mom tried the cordless house phone which was in her hand the entire time but it was not working, about 5 minutes later the phone began working again. She called my grandpa, her dad, Whom happened to live right next door. He came outside and saw the searchlights and we told him what we just saw. about 2 minutes after then, we kept watching the sky and we noticed UH-60 BlackHawks, and some types of Fighter Jets scrambling in the area for the next 20 minutes. 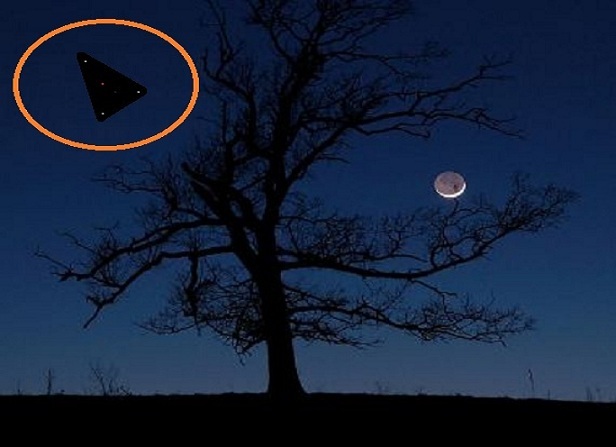 During the Duration of the UFO it was really strange. There were no sounds from any vehicles, the UFO made no sound, I could not hear anything except for us breathing. It was really weird not hearing any vehicles since there is a very busy street just 1 block south of our location. My brother and I stayed outside watching the searchlights as they continued to scan the sky, and the Jets circling over head. 1.5 to 2 hours pass and the searchlights remained on, after that time we just decided to go back inside. This is the first and only report I’ve done. NOTE: The above image is a rendering. Pentagon shaped bright grayish ship in sky, near Cameron Texas on highway 36. Blinking. Fast. Scary I must preface, Im somewhat nervous to have to explain something of this nature. Never in a million years would I have thought it remotely possible in reality. Last night my son and I were driving on hwy 36 around 11:30 on our way to my mothers house in Coppers Cove TX. In the distance we noticed a very bright flashing light. My first thought was that it could be a plane, helcopter or a signal tower with unuasually bright lights. We continued to watch it when suddenly it was RIGHT ON ABOVE of our SUV! There are few words that will effectively relay to anyone that wasn’t there just how large and utterly surreal looking this thing was. It was shaped like an pentagon with flashing lights on all sides. It looked like a building floating in the sky. It had debth/structure to it thats hard to put into context. I was in shocked and as a mother I became fearful this thing could be a potential threat considering how close it was. So I stepped on the gas to get away from it. I was driving way over the speed limit and not looking back when it occured to us to take a picture or video. My son was in the back filming what was left of it at that point. Both my son and I were just floored by what was happening. I’m extremely dissappointed we didn’t think soon and capture the object in solid form. When we first saw the object it was about 400 meters above us, close enough for us to realize its enormous size, pentagonal shape, and its grey/concrete color. By the time my son had pulled out a camera and moved to the back of the vechile to film, it appeared to have distanced itself subtaintally from us, at least a few miles away. NOTE: The above image is a witness rendering. The Allagash Waterway is a series of lakes and canals in the breathtaking mountains of Maine. 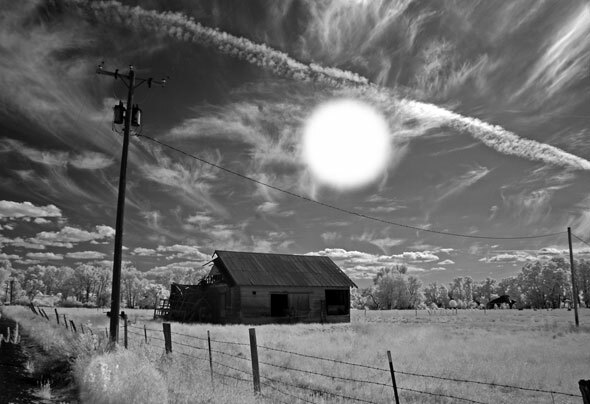 This lovely area would be the site of one of the most discussed and best documented alien abduction cases on record. A dramatized version was featured on the “Unsolved Mysteries” television show. 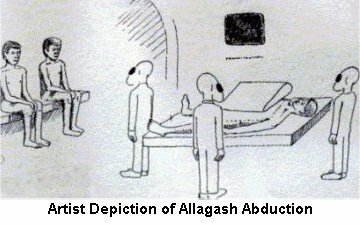 The Allagash incident would involve multiple witnesses, four to be exact, twin brothers Jack and Jim Weiner, along with their friends Chuck Rak and Charlie Foltz. The four men had met while studying at the Massachusetts College of Art, and they were all beginning their respective careers. The four artists would turn into sportsmen for what they thought would be an enjoyable, relaxing trip. Their trip to Allagash would be memorable, but not for the reasons they had hoped for. It would be in August 1976, that the four men began their vacation, and part way through their canoeing, they reached Eagle Lake, padding to it’s mouth to do some fishing. Not having any luck, and running low on food, they decided to try some night fishing. Before leaving the bank, they built an extremely large campfire to be a landmark light from the water. After a time on the lake, the four suddenly saw a light… a light that seemed much brighter than a star. The glowing orb was hovering over the trees a couple of hundred yards away. The object changed colors as it moved back and forth; red, then green, then a whitish yellow. The massive object was estimated to be about 80 feet in diameter. The object slowly moved across the tops of the trees along the bank, and as it came closer to the four fishermen, Charlie Foltz signaled an SOS with his flashlight. Immediately, the object silently moved toward the canoe. A guarded curiosity now turned into a frantic dash for the bank. As they paddled as fast as they could, a hollow light came from the object, engulfing the men and their canoe. The next thing the men knew, they were standing on the bank again. Charlie pointed his flashlight toward the object again, but this time it rose up and out of their view, as it showed it’s beam once more before disappearing into the Allagash sky. Very little was said as the four men packed up their gear and went back to the everyday grinds of their respective careers. In time the night of the UFO would begin to have a profound effect on their lives. Jack Weiner was the first to start having nightmares. In these dreams, he saw beings with long necks, and large heads. He saw the beings examining his arm, while Jim, Chuck, and Charlie sat on a nearby bench, not able to intervene. The beings had large metallic glowing eyes with no lids, and their hands were insect-like, with four fingers. The other three men were experiencing very similar dreams, with short, mental clips of that awful night on the lake. 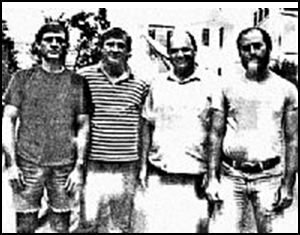 In 1988, out of curiosity, Jim Weiner attended a UFO conference hosted by Raymond Fowler. Weiner met Fowler afterwards, and related his strange encounter. The investigator was excited about Jim’s story, especially the fact that it was a multiple witness occurrence. Fowler suggested to Jim that he and the others undergo regressive hypnosis. After the sessions, it was revealed that all four of the men had been abducted, and subjected to humiliating physical examinations, including the taking of skin and fluid samples. The men’s description of the aliens was consistent, and being artists, they were able to make detailed sketches of the entities, the craft, and the examining instruments. Chuck Rak added that the aliens’ test area was similar to a vet’s office, with a silvery table. He also related a strange fact: he had much difficulty in focusing on the aliens. When he tried, he could not put an exact image to them. He compared it to trying to tune in a fuzzy radio station. After the psychiatric examinations, all four of the men were deemed to be mentally stable, and they all passed lie-detector tests. 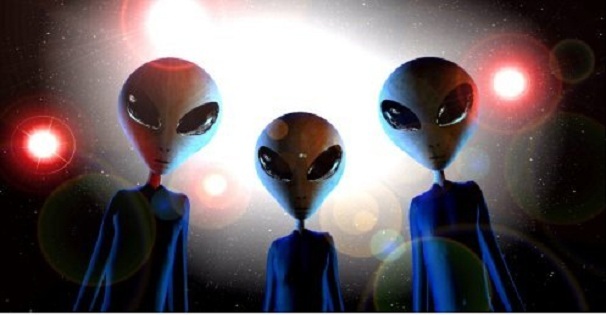 All of the information gleaned from the detailed hypnotic sessions, and investigative reports provide strong evidence that something “not of this world” was encountered by these four men on the Allagash Waterway in 1976. This case is still considered unexplainable by conventional scientific means. NOTE: The above image is a rendering.